Does a day at the track seem like running a marathon? 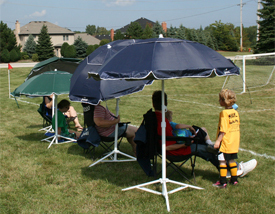 Let your JoeShade® portable sun shade umbrella keep you cool between events at the track meet! The sturdy nylon umbrella blocks harmful UV rays and is supported by a powder-coated metal tripod base for increased stability. Its carrying bag has a convenient shoulder strap, making it easy to carry with you to track side, the bleachers, or wherever you watch the meet. 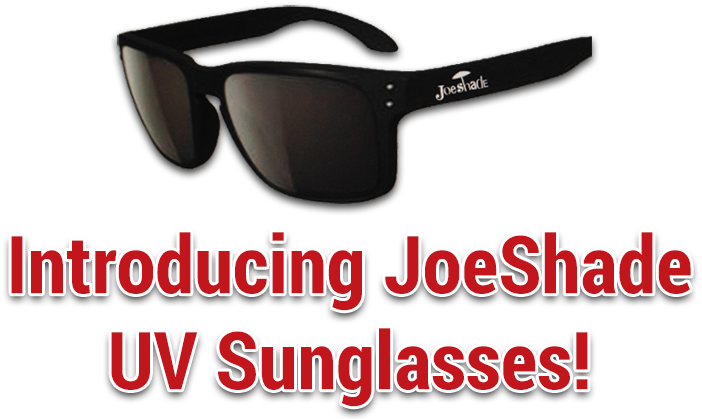 Order your JoeShade umbrella today and “Stay Cool” at the track!